The first wild buzzard that I ever saw was on Dartmoor. That must have been during the 1980s. A little later, I saw them in Scotland. There were no buzzards in East Anglia when I was a kid. The Victorian gamekeeper had shot and gin trapped them to extinction in SE England. 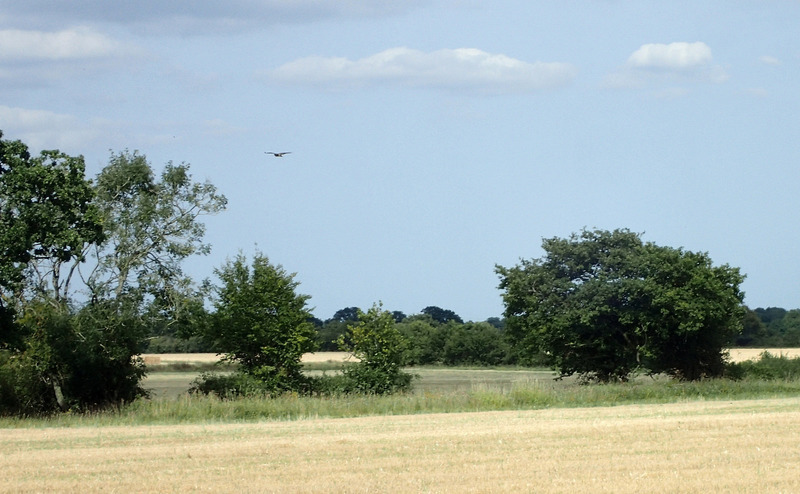 Move on to the 21st century, and you can see buzzards all over East Anglia. Over fields, woodlands, even marshes. They came back, and they came back in force. 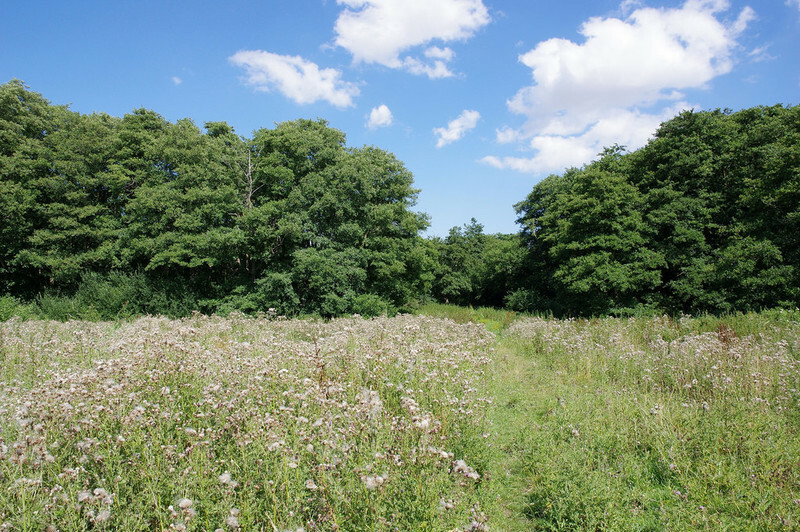 The above woodlands provide one example, during a hike, along the Wherryman's Way, on a hot summers day earlier this year. As I approached in the day's heat, I could hear buzzards in those trees, either side of the narrow path. As I pass through, I see large brown wings launching from branches. I can't describe the feeling that these sightings give me, except that it's as close to anything that this atheist experiences to spiritual. 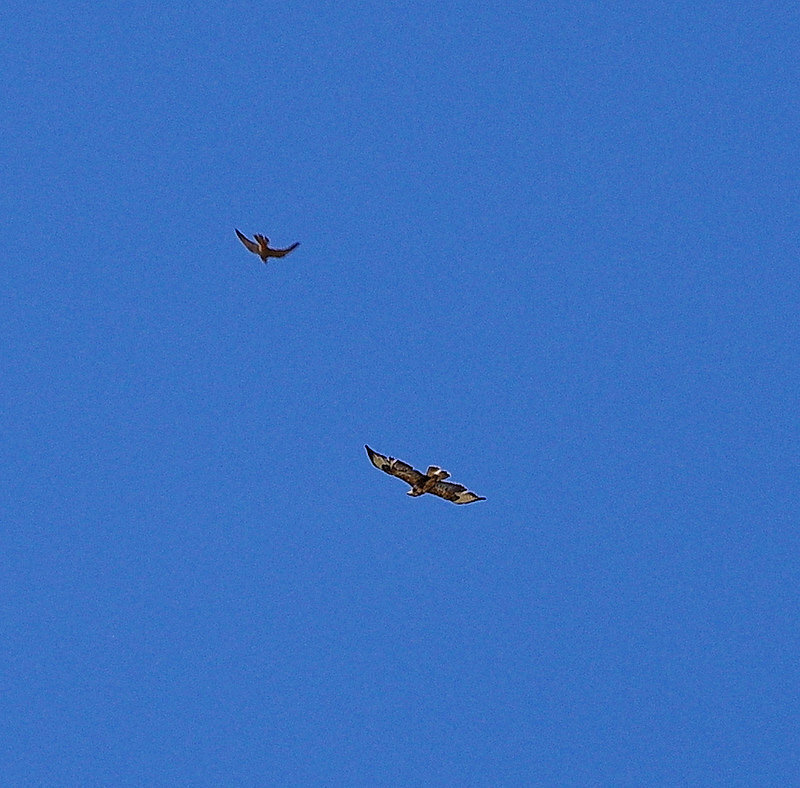 A buzzard above the Wherryman's Way in Norfolk, being mobbed by a hobby. I've seen them launch from nearby foliage, as I cross the footbridge over a stream. I've seen one sitting on a dead rabbit in a field. I've seen one land on the road in front of our car, before launching up again, providing a magical spectacle. I've seen them among the back headed gulls following a plough for worms and bugs. I've seen many of them being mobbed on the wing by rooks and carrion crows, that clearly regard them as a threat to the rookery. 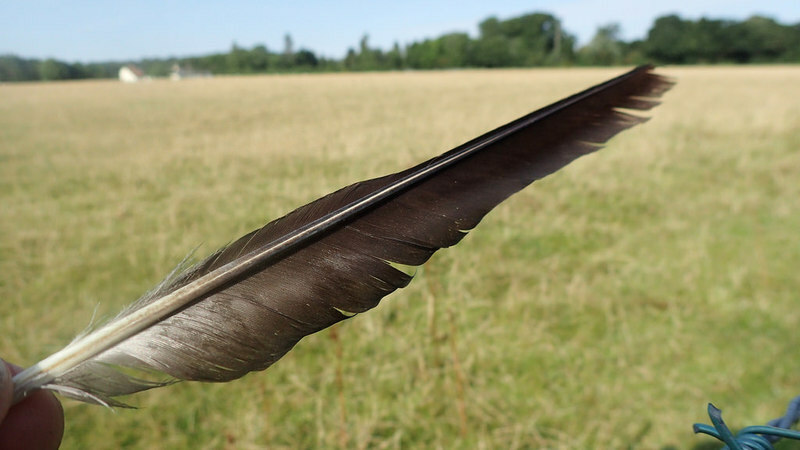 I've seen them soaring over medieval churches, on fence posts by busy roads, over marshes, flying over the suburbs of Norwich, on the ground in horse paddocks. 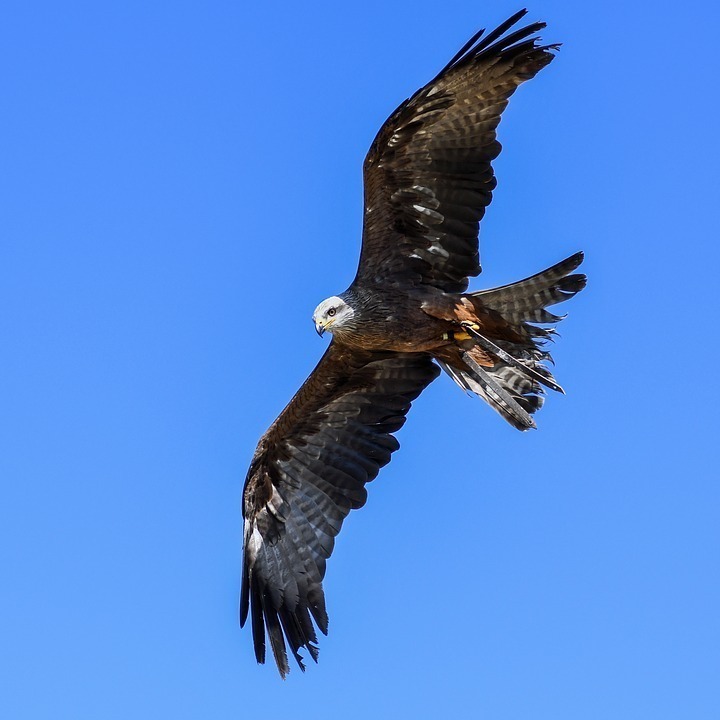 Now red kites, another raptor that has returned to East Anglia, are a wonderful sight. But for myself, it's the common buzzard. 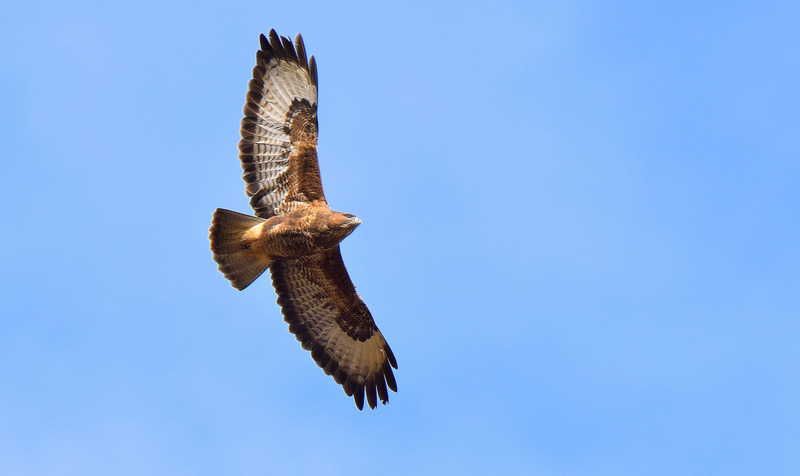 Buzzard over the Boadica Way, Norfolk.